After years of dedicated fundraising we opened the doors to the Margaret Clarke Hydrotherapy Pool in early 2017, we were fortunate enough to have Charlotte Henshaw, a Great British Paralympian to cut the ribbon on a memorable day for the school. 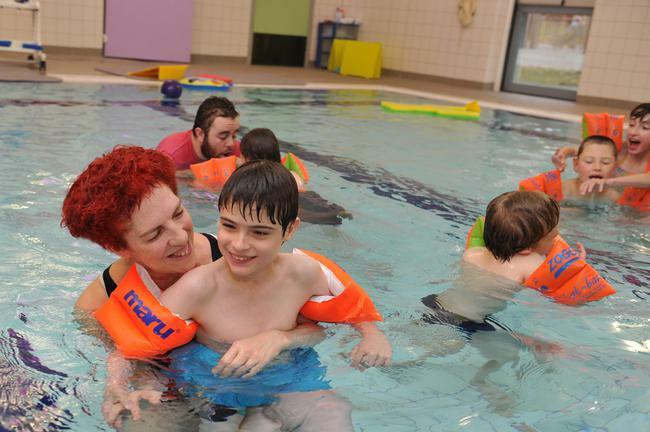 Throughout the week we offer swimming sessions and physiotherapy sessions for our pupils. During these sessions pupils will learn to become confident in the water by completing fun and enjoyable tasks and games. Their progress is recorded and there are a wide range of certificates on offer for them to achieve. In some sessions pupils will undertake numeracy and literacy tasks and some sessions will revolve around a topic they are learning about in class. Educational lessons in the pool are adapted for each class, some classes use visual aids in order for their pupils to engage. We have a wide range of floatation aids available in order to ensure all pupils have the best experience possible in the pool. The pool temperature is set at a comfortable 32 degrees which aids the children’s concentration when working and also aids joint movement when in physiotherapy sessions. We also have a bubble machine in one corner of the pool which proves to be very popular with everyone! 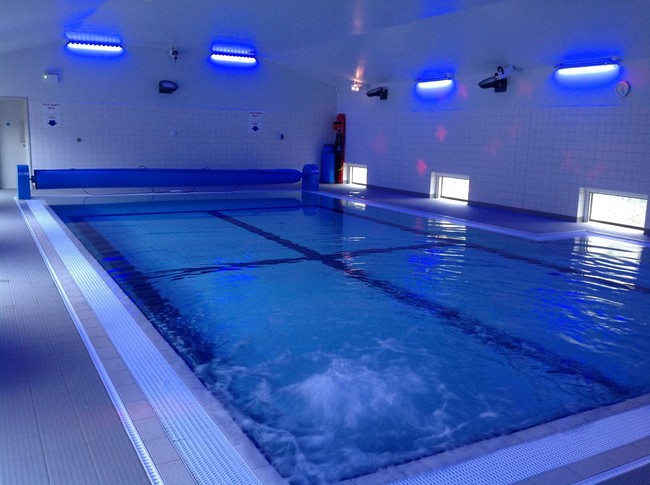 Sensory lighting is also installed throughout the pool, this helps to relax pupils after all of their hard work. There are two overhead tracking hoists fitted in the pool, one in each changing room. The hoists transport pupils from the changing rooms straight into the pool. When the pool is not in use it is hired out to external companies who offer swimming lessons to the local community. 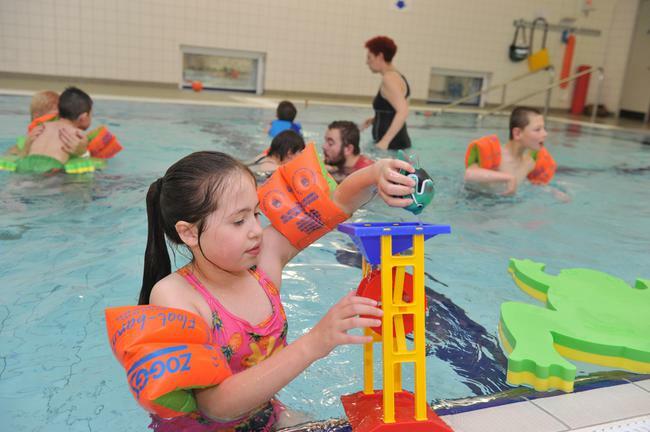 There are currently two companies that hire the pool… We have Puddleducks who use the pool at lunchtimes and East Midlands Swim Academy who use the pool 1 afternoon a week, every evening and at weekends.